the picture of ms t's sweet sleeping feet reminds me of another pic in my photo archives which brings together the letter Z and feet. embarrassingly this is what my feet look like in late summer. sherlock might surmise and say that these feet belong to someone who is fond of walking and a particular pair of sandals - and of course he would be correct! if anyone has a remedy to prevent the advent of the z lines next summer that doesn't entail giving up my beloved teva-knock-offs I'm open. actually, the only time I am chagrined is when I have to wear a different pair of shoes and people make fun of my z's. but really, truth be told I kind of like sporting the pair of suntanned z's! it's ze! 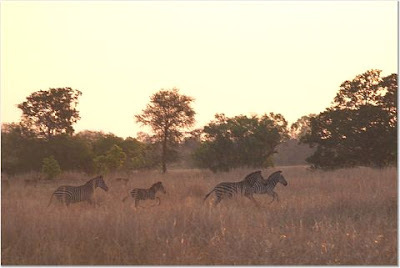 z is also for zebras in zambia! 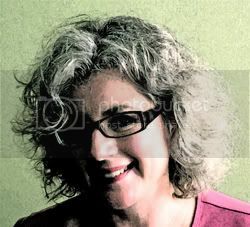 - from my zany zizter zannie who is currently ziving in zambia, if the zods zmile on ze, zne zay I zope to zisit! Congrats on the wonderful alphabetic series. The baby feet are so sweet! Love your Z feet, too. 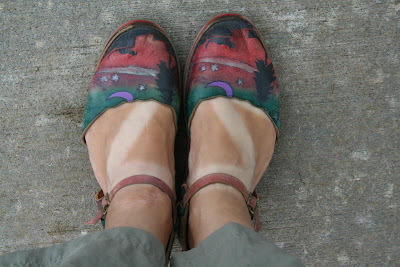 The problem of tan lines on feet is universal, I guess. And zebras - what were the evolutionary forces thinking? Stripes? They're so beautiful, and so very unusual. Bravo on your journey through the alphabet. Now what? A spot of self tan on the zeds perhaps?